In the search for a perfect bedsheet, it’s likely you’ll have come across the material Tencel. It’s a fairly new innovation in the bedsheet world (it was first developed in 1972, with the first US factory opened in 1990), but since then, Tencel has been gaining traction as a bedsheet fabric. It makes great claims, and for some people could be a good choice. Here is everything you need to know about Tencel. Tencel (the brand name owned by Lenzing Fibers for rayon or lyocell) is a fabric made from wood cellulose. It’s made of regenerated fibers, which means it’s made by dissolving the cellulose fibers of a plant with chemicals, then making them into more easily woven fibers again. Bamboo fabric is created similarly. Tencel is particularly sustainable and one of the most environmentally friendly materials. The production uses recyclable and non-toxic solvents, the raw products are generally considered sustainable, and Tencel itself is naturally biodegradable. Many people favor it as a fabric choice for this reason. It can also be blended with other fibers, like wool or cotton. Tencel is made from the cellulose (or natural polymers) of wood pulp of eucalyptus trees. These eucalyptus trees are specially farmed for the production of Tencel. They grow very quickly, and are (generally) a sustainable form of wood. The cellulose of this wood pulp is extracted using solvents. What makes the process of Tencel environmentally friendly is something called the “closed loop method”. This means that the solvent used is almost completely recovered from the process. There is relatively little waste, and no harmful chemicals can leak out to environmental surroundings. The remaining emissions not recovered are easily broken down in water treatment plants. Tencel also avoids some harsher chemicals such a bleach or chlorine in its production. The raw Tencel fibers are then dyed and woven into fabric, typically using a sateen weave. Tencel can then be used for many different purposes, including bedsheets. Tencel also has some unique attributes in a variety of superficial areas. It’s very strong, and yet also soft and smooth to the touch. It’s easy to look after, and drapes well. It also feels slightly cool to the touch, and is thus very comfortable on the body. Because of its unique features, Tencel is often added to different fiber blends, in order to strengthen, soften or add durability. How Is Tencel Used In Bedsheets? Tencel fabric can be used to make clothing and upholstery, alongside being used in bedsheets. 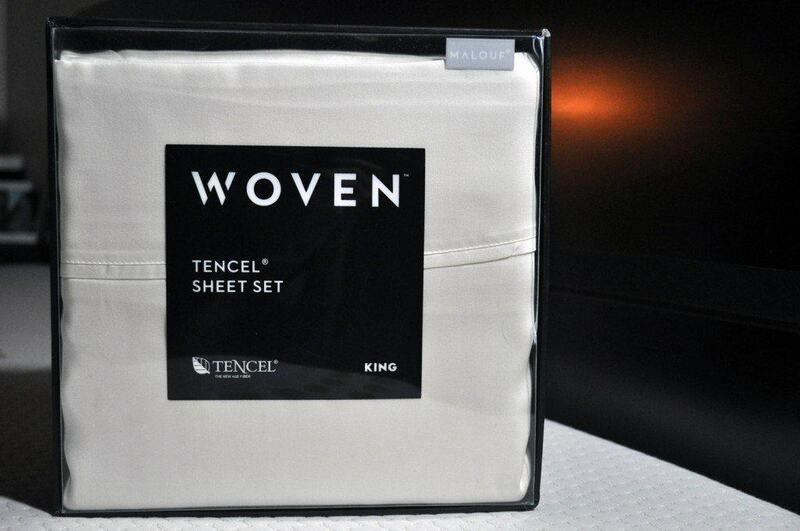 Tencel bedsheets are typically constructed using a sateen weave. This means that there are more fibers at the surface of the fabric, making it feel very smooth, soft, and luxurious to the touch. Tencel is a material that possesses many good bedsheet qualities. It’s strong and durable, and washes easily and well. It’s also soft and smooth, which offers comfort. Tencel sheets take dye well thanks to their high absorbency, and have a lustrous color effect. Tencel is also less liable to creasing than cotton, and drapes well. It makes for an attractive and comfortable bedsheet. 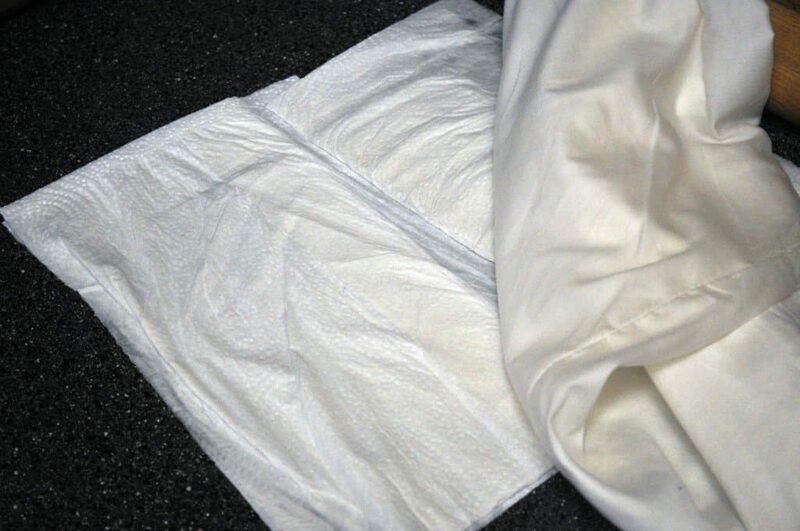 Tencel can also be used in mattress covers and bed protectors. They’re particularly useful for younger children, as they’re waterproof but not sweaty, sticky, or uncomfortable. They’re also very hygienic. Because of the lack or bacteria, bed mites find Tencel difficult to inhabit, so a mattress cover can be a great choice for those suffering from allergies. Tencel is also very comfortable as a mattress cover, because of its smoothness, softness, and coolness. It feels very luxurious, and maintains a comfortable body temperature while feeling breathable and dry. 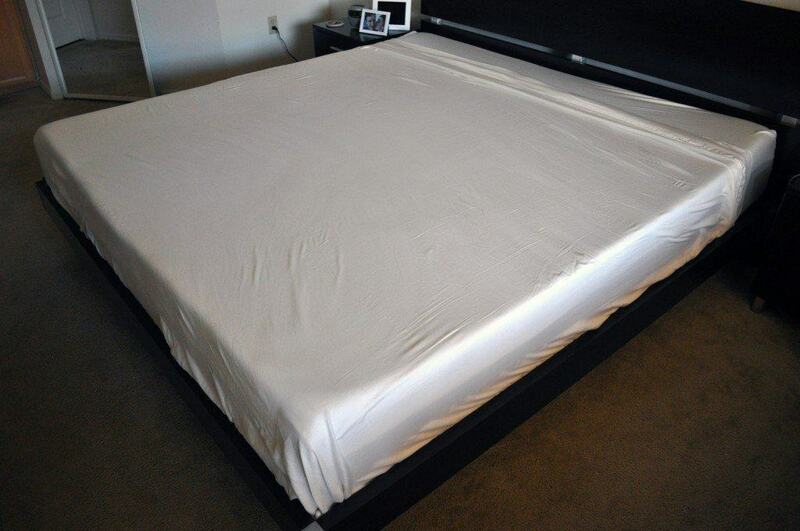 And unlike other waterproof mattress protectors, Tencel is undetectable (aside from its benefits to bedtime comfort). Tencel sheets have the potential to appeal to many consumers. They’re smooth and soft, as well as aesthetically pleasing. They’re also a good choice for those who are environmentally conscious, thanks to their sustainable status. Tencel bedsheets could be of particular benefit to people who struggle with their body temperature while in bed. They’re cooling to the body, both to the immediate touch and even after a few hours of contact. Tencel is made of hydrophilic (or “water loving”) fibers, which wick moisture away from the body. This means moisture is pulled away from the body and towards the surface of the material, where it can easily evaporate. Tencel bedsheets can help those with higher body temperatures feel less clammy and sweaty during the night. Tencel bedsheets can also be really useful for those who live in hotter climates for this reason. Tencel comes in a varied price range, so there will be a bedsheet to suit most budgets. In fact, Tencel bedsheets can offer a more luxurious feel at a lower price than other bedsheet materials. Tencel is fairly broad in terms of its appeal. However, there are a few drawbacks to its use. Many people are perfectly happy with the night’s sleep they get with cotton sheets. Plus, replacing your current, useable bedsheets with Tencel may negate its environmental credentials. Some people prefer cotton or other fabrics over the feel of Tencel. Tencel is well known for its soft, smooth surface. However, many people prefer a “crisp” bedsheet feel, in which case Tencel will not suit their needs. For those who enjoy a slightly crisper bedsheet feel, cotton is likely to appeal more. Tencel is more susceptible to mildew than other bedsheet fabrics, thanks to its ability to wick away bodily moisture. While this can be problematic, frequent and thorough washing and drying mitigates this. At Sleepopolis, one Tencel option we have reviewed is the Malouf Woven Tencel Sheets. They’re extremely high quality, showing little shrinkage and dye transfer after their first wash, plus arriving with almost no loose threads. They’re very soft to the touch, offer great cooling, and feel luxurious in spite of their affordable price tag (around $90 for a Queen). They also offer the environmental benefit of Tencel, to help you get a good night’s sleep in more ways than one.